Title on the front of the cover is 'Wreckin Temples'. 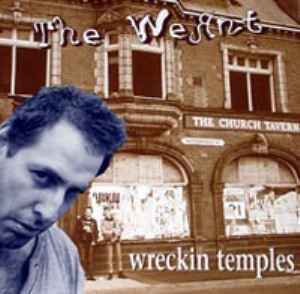 Title on the side of the cover and on the label is 'Wrecking Temples'. Conceived, written, recorded and mixed in 9 days in July 1997. All music originally written 1980-81 by <A HREF="http://www.discogs.com/artist/G.B.H. ">GBH</A> and <A HREF="http://www.discogs.com/artist/English+Dogs">English Dogs</A> - None of it recorded. Re-written and arranged by The Wernt 1997.